I enjoyed watching “My Favorite …” videos on YouTube lately, so I thought you might also be interested in my favorite products at the moment. I’m intentionally not calling this post “My favorite products of July” because I’m not doing these sort of posts regularly. Because it is mid summer here I’m just calling this post “Maestra’s Favorite Summer Products”. Make sense right? I’ve split this post into three posts, because I would like to show you a lot of products. Let’s start with foundations, contouring products and highlighters. IsaDora Sun Protecting Gel Bronzer with SPF 10 in 60 Soft Tan is a product I bought last summer in a set and I’ve been using it a lot last summer and also in the past month an a half. It’s a sheer gel with shimmer. I’m using this product in (at least) two different ways. 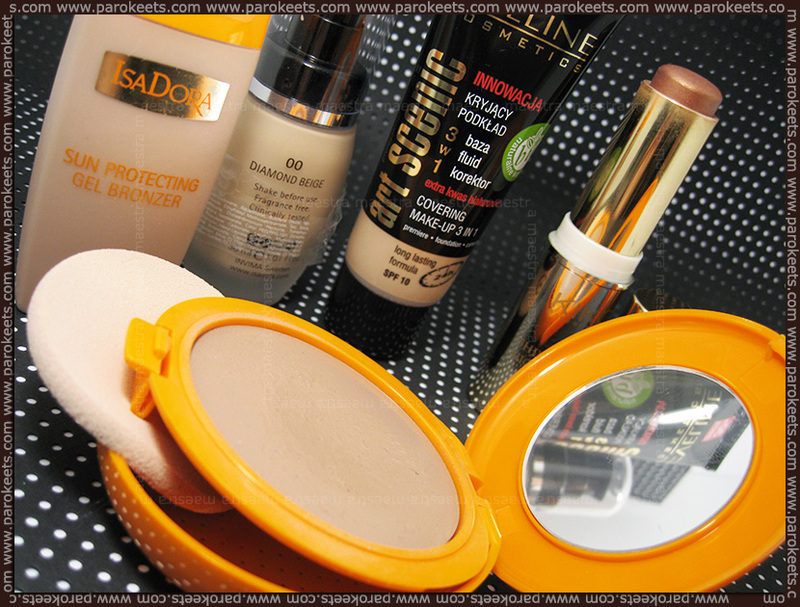 As a bronzer on high points of my face or I mix it with foundations to achieve darker shade and lighter coverage. 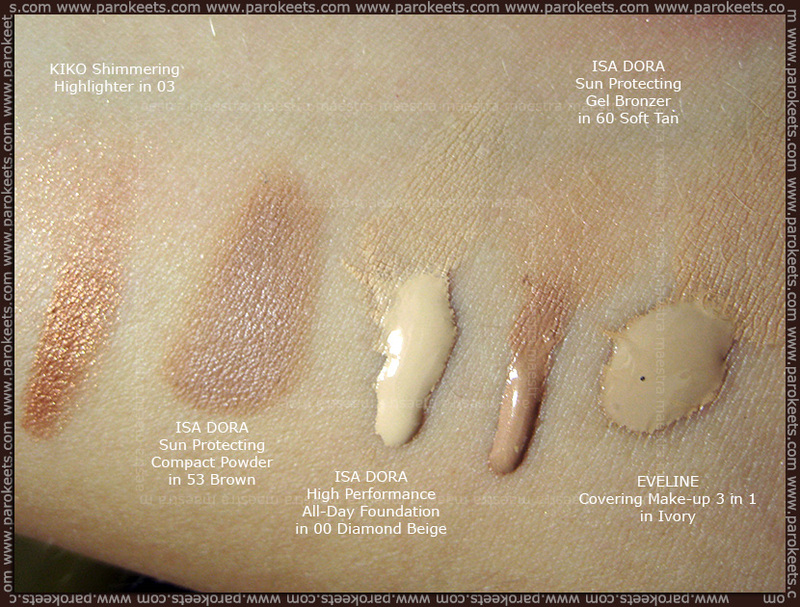 IsaDora High Performance All Day Foundation with SPF 12 in 00 Diamond Beige, which is a nice foundation for combination to even oily skin. Gejba and me were a bit confused when we first tried the foundation, because we thought this foundation is going to be nice on dry skin (because it promises to visually minimize fine lines and wrinkles), but we were mistaken. It is actually much nicer on combination to oily skin. It looked cakey on me in the winter when I had normal to dry skin and now when I have more combination skin and I use a “greasy” sunscreen, it looks nice. It still gets a bit into my larger lines around my mouth though. I like to mix it with the Sun Protecting Gel Bronzer. It’s a nice lightweight foundation. Eveline Covering Make-Up 3 in 1 with SPF 10 in shade Ivory. Very lightweight foundation with a good coverage. It is very easy to apply and gives a dewy finish. I’d say it is nice for normal to dry skin. It says it has long lasting formula and it is supposed to be a combination of primer, foundation and corrector. I always get compliments on my skin when I’m wearing this foundation (with combination with their primer for dry skin). I like it a lot. It’s like I’m not wearing anything and it still covers very well. Unfortunately Eveline has ridiculous dark shades in their range of foundations. Kiko Shimmering Highlighter in shade 03. It’s a shimmering stick for face and body. I mostly use it as a bronzer for my face. I apply it with a brush. It gives a nice bronze effect to the face. 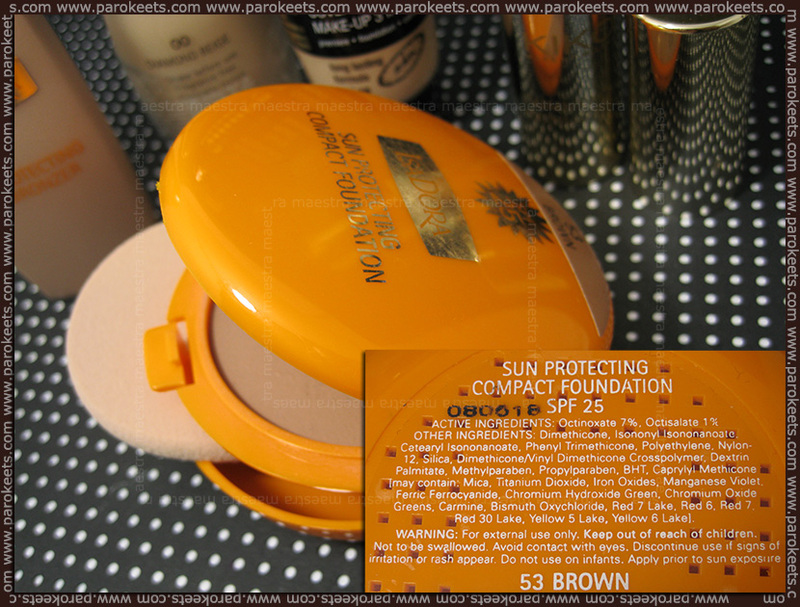 IsaDora Sun Protecting Compact Foundation with SPF 25 in shade 53 Brown, which is way too dark for me to use it as a foundation. 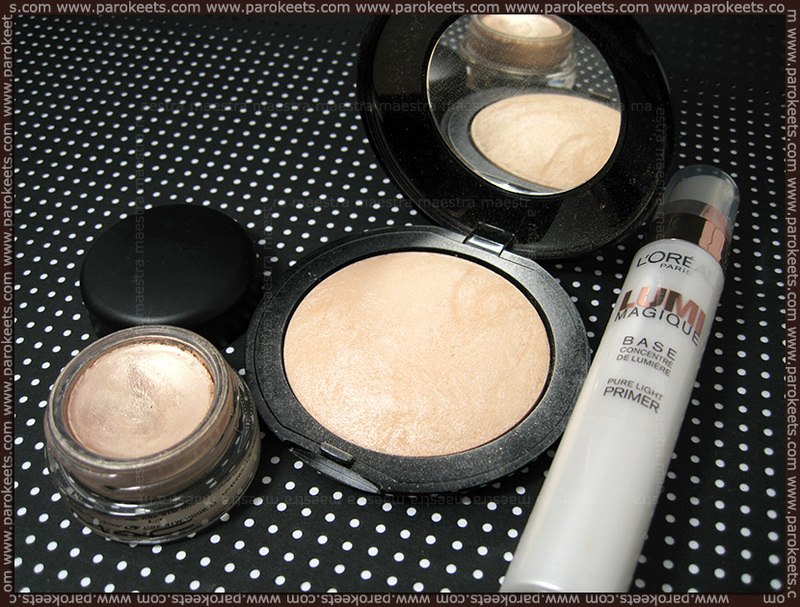 I use it for contouring and it is perfect! Love it! I bought it like a month or two ago and it was part of a summer set. The set was very good value for money (around 8€ for three IsaDora Products). MAC Paint Pot in the shade Bare Study (wrong name in the photo). I’m sure you are all familiar with MAC’s Paint Pots. This is the only one I have and I love it even more than I thought I would. It’s such a pretty champagne shimmer shade. I mainly use it as an eyeshadow base, but sometimes I also use it as a face highlighter. Basic Beauty Terra Cotta in shade TC04. I bought it maybe two years ago and didn’t use it a lot, because it is quite shimmery. I don’t know how and why I rediscovered it this summer, but I’m using it a lot lately and it is such a nice warm light gold shade. If I use it very lightly it gives a nice glow to the face. 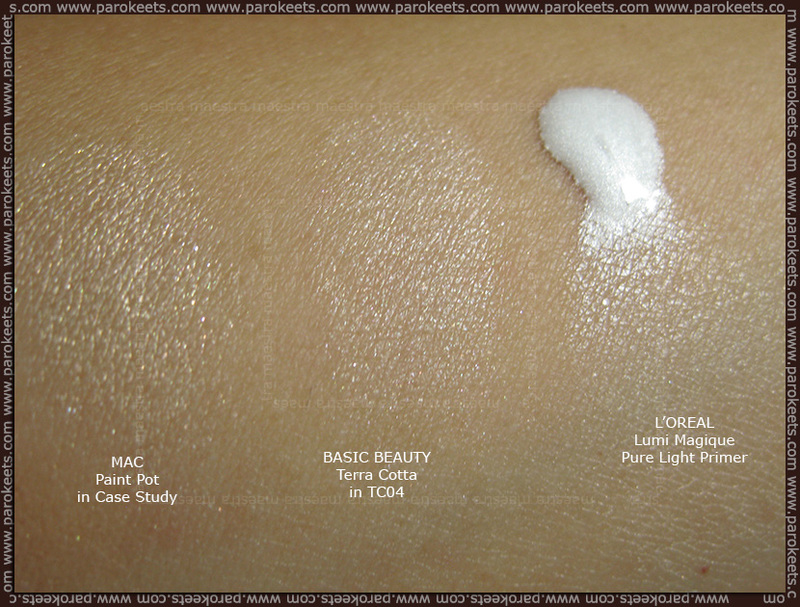 L’Oreal Lumi Magique Pure Light Primer is a stunning product. It gives the most natural glow to the face. I sometimes mix it with foundations or I use it just on the high points of my face. Usually I apply it after I put on my foundation. Love this product! Next I’m going to show you my favorite lip products, eyeshadows, eye pencils and blushes. What are your favorite foundations, highlighters and contouring / bronzing products for summer? Trenutno uporabljam samo Skin 79 BB Cream v oranžnem pakiranju (deluje kot podlaga in korektor), iščem pa še primeren svetel matirni puder ker se tudi po BB kremi kmalu začnem svetit. Oh, ful sem vesela, da boš napisala te prispevke, zmeraj jih rada berem, tvojim pa še čisto zaupam in sem že dala na seznamček L’Orealov primer. :yes: Gre torej za izdelek, ki je lahko primer ali highlighter ali priporočaš bolj uporabo samo kot highliter (ličnice, oči etc)? Odkar sva se v enem prispevku ‘pogovarjali’ o highlighterjih in odkar sem pogledala malce več MU tutorialov, hočem nabavit enega in se poigrat s svetlobo. :) MACov Bare Study se mi tudi blazno fajn sliši. 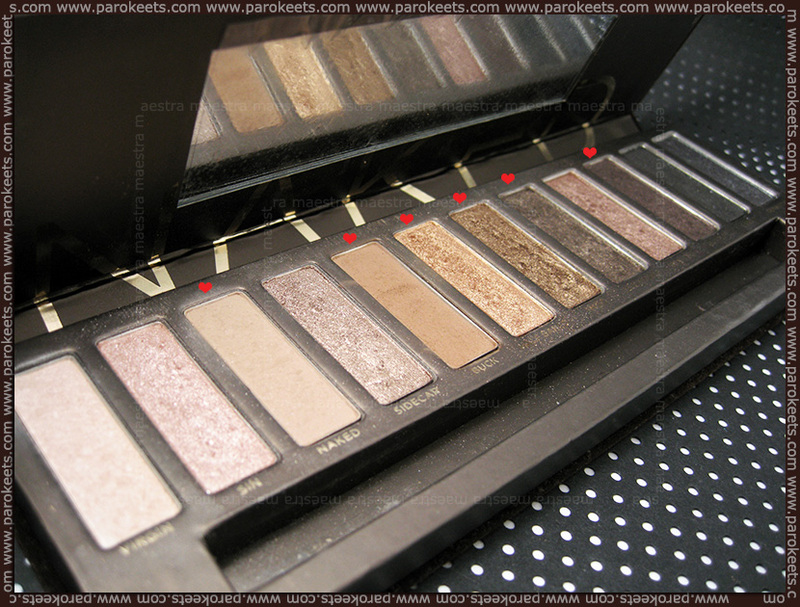 Ga uporabljaš kot samostojno podlago ali daš prej še eyeshadow base pod njega? 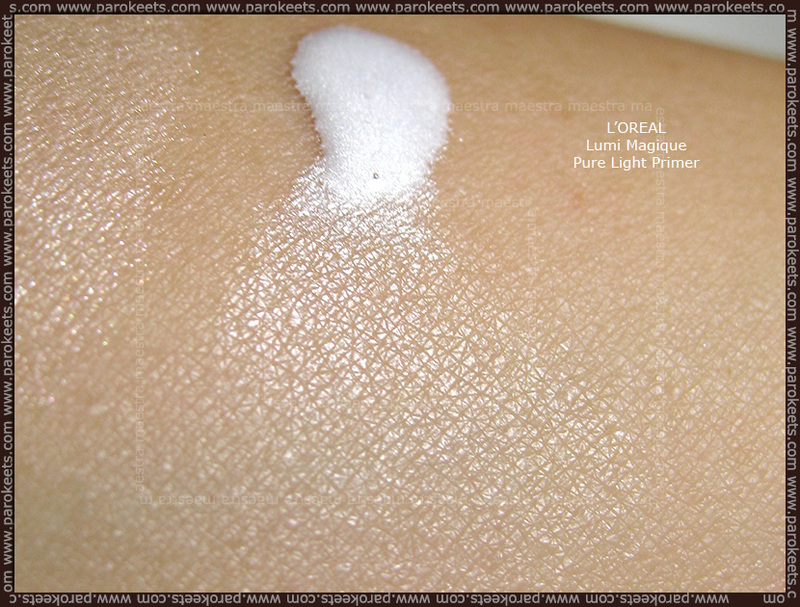 LOrealov primer uporabljam največ kot highlighter, skoraj nikoli kot primer. Če že, da primešam tekoči podlagi, da dobi malo več leska. Resnično zadevo priporočam kot osvetljevalec obraza, če želiš nežen diskreten lesk, pri katerem je težko predozirati. Se lepo maže in ni opaznih posameznih delcov od šimra (če veš kaj mislim). Šimer je res mičken. Mini nasvet … poskušaj ne brisati pota z obraza, če imaš make up, ampak ga le popivnaj. ;) Na tak način bo večina MUja ostala na mestu in ga ne boš obrisala z obraza.